The easiest thing to do, in most cases, is to put them where it hurts! If you have a headache, apply the oils to your head. If you have a belly ache, put the oils on your belly. 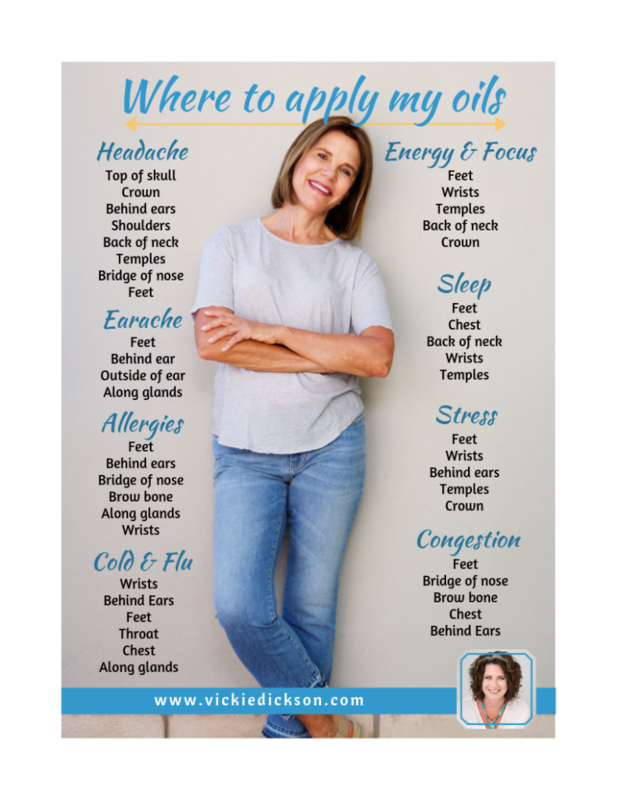 If you have knee pain, put the oils on your knee. Makes sense? In some cases, you’re not going to be able to do that so you can use this chart for reference. Guess what I’m asked second most often? -According to Chinese medicine, all energy meridians in the body begin in the feet. -Reflexology teaches us that the entire body is mapped on the feet – organs, body systems, bones, all of it. If you don’t have doTERRA’s reflexology chart, you’ll want to google that and download it too! Hopefully this is a useful tool for you. Enjoy!